I'm super excited to be sharing my thoughts on OwlCrate's Feb box. I'm sorry for the lack of posting for the last month, it's been mad. Between moving two house loads full of stuff, unpacking a million boxes, launching Aureate + Argent, and organizing an engagement party... things have been kind of crazy in the Bookworm Boutique household. Really though, I'm sorry for how late this all is. Since the weather has been MAD these past couple of days (either it's been tipping it down raining or it's so windy that nothing at all wants to stay still) taking all these images was quite a mission. But as usual, OwlCrate was so worth it! For those of you who don't know what OwlCrate is or who were unaware of my complete obsessed with this company, this is for you. 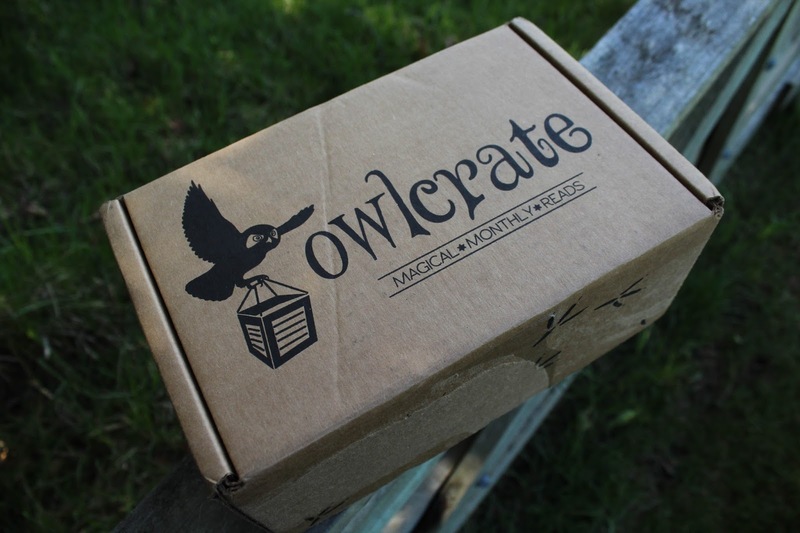 OwlCrate is a YA monthly subscription service. Each box has a certain theme that fits with the book, the creators then go and find a heap of awesome goodies to put in the box as well. An OwlCrate contains one YA hardcover book, 2-4 bookish goodies, and usually some book swag for the featuring book. It costs $29.99USD + shipping, and is freaking amazing. Okay, now let's see what's in this box! The first item that I saw in the box, apologies for the terrible image, but I did have to deal with the insane wind. 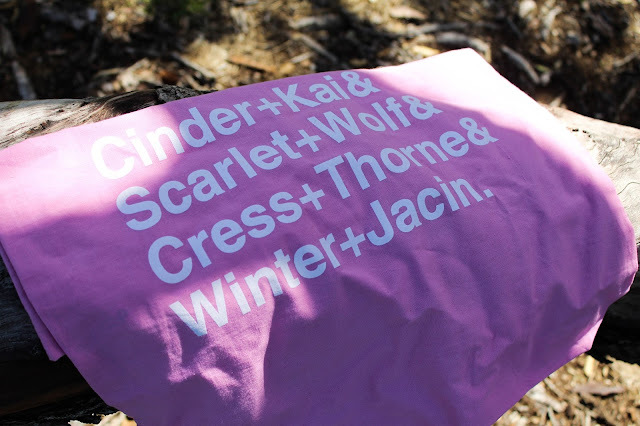 was this awesome tote bag that features all the relationships from The Lunar Chronicles. Personally, my favourite is Scarlet and Wolf, those two made me tear up. Anyway, this was designed by the team at OwlCrate especially for this month. They sent the tote bag out in pink and red, I think I would have preferred the red, but does that mean I won't use this tote bag? Absolutely not. The material is pretty standard for a tote, I think it would comfortably hold quite a few books and is really easy to fold up into a tiny square, so perfect for unexpected book buys or trips to the library! Next up, we have this amazing wooden TARDIS brooch! 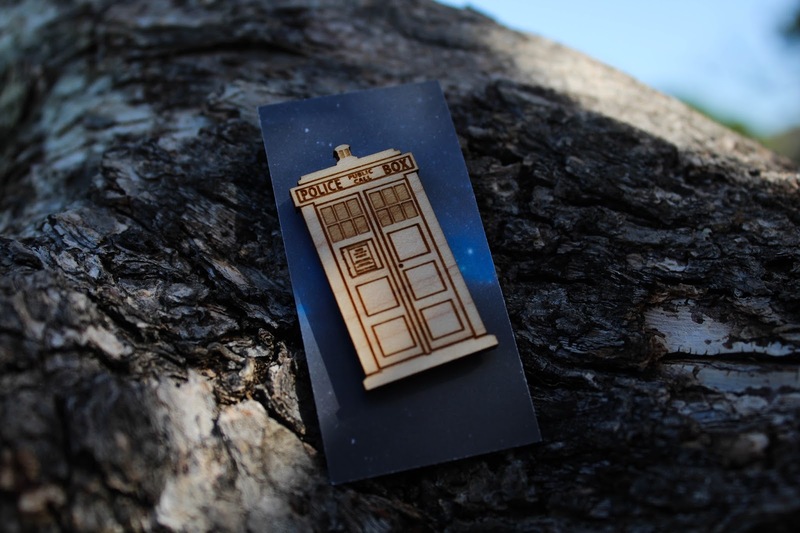 Some of you might not know that I've been absolutely obsessed with Doctor Who for the longest time, so seeing this stunning brooch made me so happy. Plus, it's not a standard brooch! "What ever do you mean!??" I hear you all calling, well, it's magnetic, and a very strong magnet at that. I worry about putting holes in my clothes when it comes to things like badges and brooches, so this aspect thrilled me. The fantastic creators of this item are called Vector Engraving, make sure you check out all of their other insanely awesome merch, there's a lot of it! Now for the books... Books?!? YES! The Feb OwlCrate contained not one, but two books! The first book was The Time Machine by H.G Wells. Some of you may already know what this book is about since it was published in 1895, but I'll pop the synopsis down below for any of you wondering! This edition was done by Rock Paper Books (I've seen in other unboxing photos that there was meant to be a bookmark with a discount for the company, but I must have missed out! These things happen!) The cover is absolutely stunning and when I did my unboxing photo I definitely had a few people point out how amazing it is. 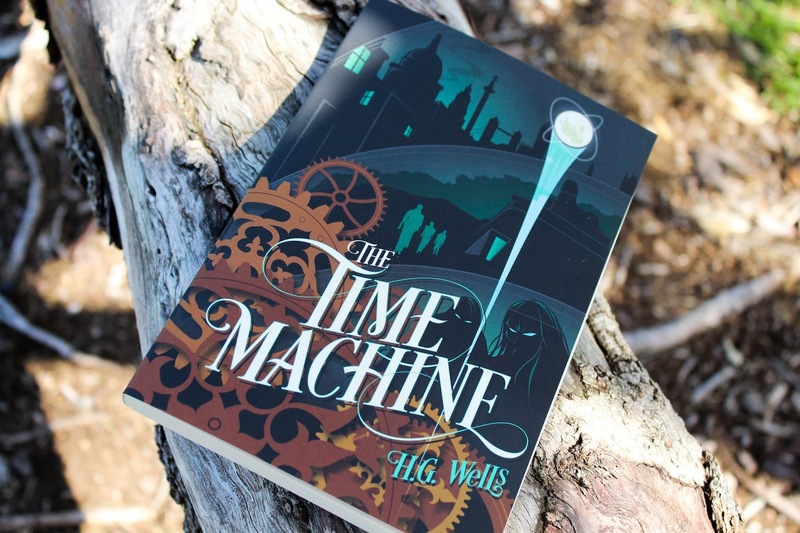 I've never read The Time Machine before, but it's on my TBR now thanks to OwlCrate! "So begins the Time Traveller’s astonishing firsthand account of his journey 800,000 years beyond his own era—and the story that launched H.G. Wells’s successful career and earned him his reputation as the father of science fiction. With a speculative leap that still fires the imagination, Wells sends his brave explorer to face a future burdened with our greatest hopes...and our darkest fears. A pull of the Time Machine’s lever propels him to the age of a slowly dying Earth. There he discovers two bizarre races—the ethereal Eloi and the subterranean Morlocks—who not only symbolize the duality of human nature, but offer a terrifying portrait of the men of tomorrow as well. Published in 1895, this masterpiece of invention captivated readers on the threshold of a new century. Thanks to Wells’s expert storytelling and provocative insight, The Time Machine will continue to enthrall readers for generations to come." 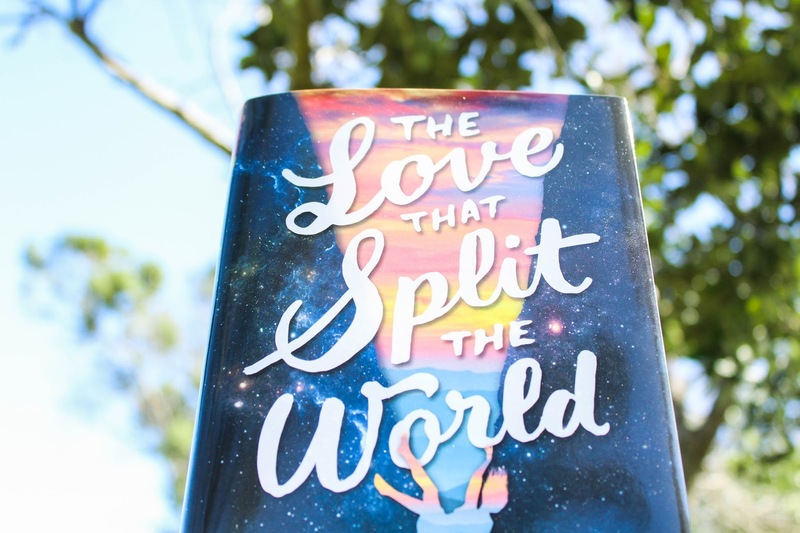 The main book in the Feb OwlCrate was The Love that Split the World by Emily Henry. Let me tell you, this is one of the most beautiful books that I have ever seen or held in my life. Just look at that cover (which also feels great by the way... yes... it feels great) the dust jacket is so silky and seriously, I just had to look at this book for the longest time. I know, I know, I'm not meant to judge a book by its cover but try and stop me. I honestly hadn't heard much about The Love that Split the World, but it is definitely something that I would read. I'll pop the synopsis down below! "Natalie Cleary must risk her future and leap blindly into a vast unknown for the chance to build a new world with the boy she loves. Emily Henry’s stunning debut novel is Friday Night Lights meets The Time Traveler’s Wife, and perfectly captures those bittersweet months after high school, when we dream not only of the future, but of all the roads and paths we’ve left untaken." Now, onto the incredible bookish swag! 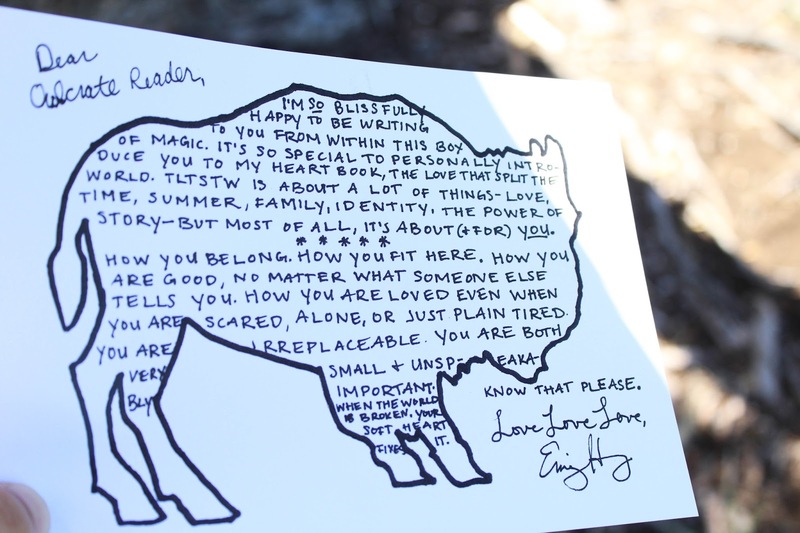 Us OwlCrate readers received a letter from the author, Emily Henry and a signed bookplate. Something that I've really enjoyed about subscription boxes is all the bookish swag, especially the signed bookplates. We don't get a lot of authors over in NZ, so it's nice to be able to have a signature in some of our books anyway! 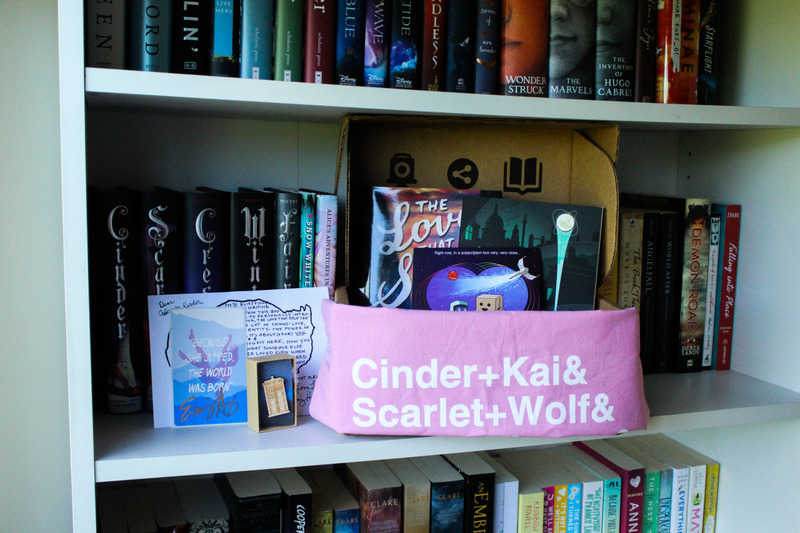 I freaking loved the Feb box, honestly, even down to the adorable Wall-e themed information card (that I left at home and forgot to take a photograph of... *sobs dramatically*... you can kind of see it in this photo, though) -- This has been my all time favourite OwlCrate box! Coupon code time! 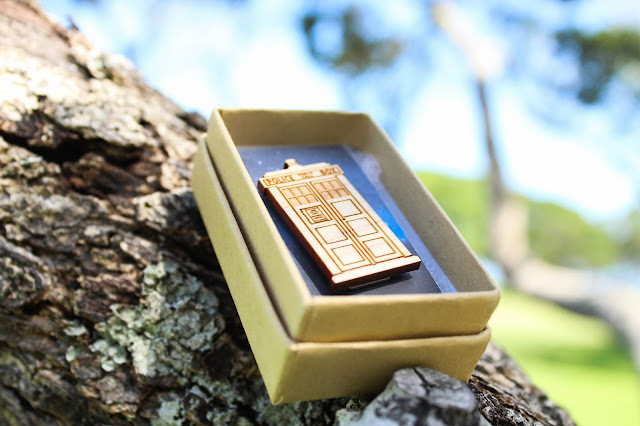 If you're interested in signing up for OwlCrate or giving a box to a friend as a gift, you can use the code BB2016 at checkout to receive 10% off the price of the box. February's theme is "Writer's Block", OwlCrate writes "This box will include a hard-hitting contemporary novel, as well as some beautiful items that celebrate the importance of creativity and the written word.” so make sure to head over to their website and sign up! OwlCrate are always active on a range of social media, hosting giveaways, giving sneak peaks, sharing their reading habits and far more so make sure to give them a follow so that you can keep up to date with all their latest news and information.